Before I begin I want to apologize to my progressive creationists friends for what will be a critical article. I know and respect many followers of Hugh Ross and find that his work has been helpful in many areas of the creation debate. However, after reading the following article from August 8th 2010 by Hugh Ross entitled, “Thank God for Whales” and knowing a thing or two about whales since I am actively engaged in research on several species of whales I had to make comment. I am going to start with a few quotes from the article. You can read the whole article by following the link on the title above. The gist of the article, I believe, is to attempt to answer the big picture question: why are there so many whale species? 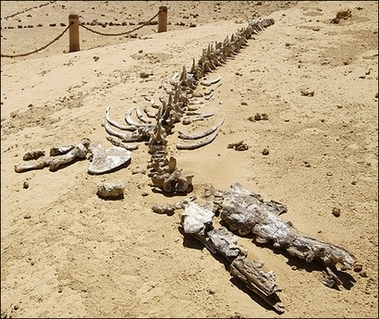 The fossil record is loaded with whale fossils including many more whales species that are extinct than are alive today. 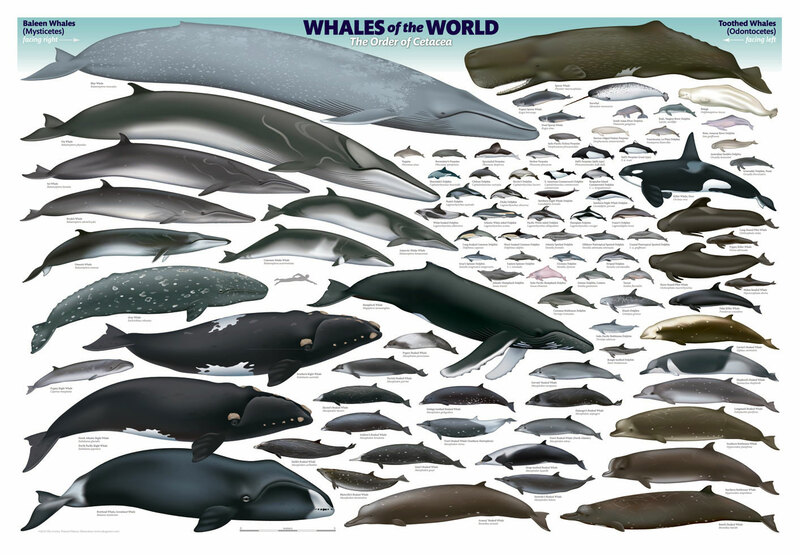 I think it is safe to say that the average person has little appreciation for the diversity (number of species) and the total numbers of whales in the world. What most people hear about whales is that there are some that are hunted to near extinction. This tends to create the impression that whales are rare animals. Yes, there are many rare and endangered species of whales but there are many that are very abundant. Today there are 88 recognized living species of cetaceans making them one of the most diverse families of mammals. The cetaceans include the dolphins, porpoises, and the toothed and baleen whales. I think it would be safe to say that there are 10s of millions of cetaceans alive today. I believe that all these “transitional forms” for whales show up in the fossil record because God likes whales. Knowing their propensity for rapid extinction, He kept on making new ones. Evidence shows an apparent progression from fresh water habitats to sea coastal regions to proliferating throughout all the world’s oceans. God must have had His reasons for gradually expanding both the habitats and populations of whales. A new research study on sperm whales sheds some light on at least one of those reasons and provides us with more understanding for why God is so enamored with whales. Here is where I get really confused. Transitions fossils exist because God like whales? And how do we know this, because whales have a propensity for rapid extinction. Ross, seems to mix natural processes with supernatural processes at a whim. How does he know they have a propensity for rapid extinction. He seems to accept the standard interpretation of evidence of many fossil types that are found in rock layers that then are replaced by different cetacean versions in the next layer of rock. He accepts that this is evidence of whales naturally going extinct but why must the process of extinction be more natural than the process of change, into, or creation of, new whale species? He wants to say that whales go extinct but rather than some of them changing into new species by providential mechanisms God simply sees the extinction coming and replaces the extinct species with a new and improved created version. Ross takes the sequence of whales as inferred from the fossils as essentially accurate. But rather than ascribe this sequence of smaller mammals in fresh water passageways gradually adapting to a more and more aquatic lifestyle with the deep-sea diving whales as most derived as the result of an evolutionary process Ross purposes these transitions as discrete, despite the abundant transition fossils!, creative events that were part of God’s plan to deal with a Sun that was becoming progressively brighter. I find this whole explanation a rather delicate and unconvincing dance to maintain a fine-tuning argument. Maybe its the Calvinist in me that want to shout out that the contortions that Ross goes through to make sure God is involved in the creative process are an affront to God’s sovereignty rather than supporting it. It is examples such as this one that have caused many to claim that PC is a God of the gaps explanation. I am sure that Ross is convinced that the mechanisms of evolution are insufficient to explain all the transitions between these fossils and so feels that this warrants proposing continuous de novo creative events by God but is an explanation of transitions between species via natural selection any less amazing, any less God directed, and any less an evidence of God’s design and hand in creating than many hundreds of thousands of small fine-tuning creative acts? In fact, rather than having a hand in creation why not say he guides all of his creation all the time. I don’t find that there is much to gain in our appreciation for God’s handiwork by saying that God didn’t create and sustain a fully functional creation but has to constantly tinker with it to make it come out right. Do progressive creationists (a la Hugh Ross) attempt to read the specific purpose of all design into all current events as well as past events? I don’t know PC well enough to answer this question but if they do not then why attempt such a course for past events? Like the 17th and 18th century natural theologians, I think we glorify God by describing it and learning from the creation but to assign specific purpose and define miracles outside of the context of special revelation seems a risky proposition. So where do species come from? Young earth creationists believe God created Baramin (kinds). Because kinds are the basic unit of living things, they say that Noah only had two of each kind rather than two of each species. So only two canines verses representatives of 30 to 50 species. But then how did species of canines come to exist and what is a species? Since most YEC don’t believe new information has been created with the original creation they suggest that all the genetic variation needed to “create” all the species of canines today was created in the original kind and that variation sorted out by a natural selection type mechanism. With respect to Cetaceans, many YECs will claim that there may have been as few as two or three different original cetaceans and that all the present species and fossil species are the result of genetic re-assortment. That is a LOT of species formation that they are unwilling to ascribe to special creation. For most YEC’s there were at most 20,000 species (and probably a lot less) on the ark but there are millions of species of animals alive today. That is a lot of evolution, err, genetic sorting going on! What about progressive creation? Interestingly, PCs have a variety of definitions of species but for the most part they try to explain, like for the whale species, that species are created progressively over time and new information (eg. new genes or new characteristics) were definitely added by God. So the progressive creationists has God continuing his creative activity through history whereas young earth creationists are more reliant on natural mechanisms for species formation. I heard Fuz Rana speak in a debate with Dennis Venema a while back. Hugh Ross was also there, and I talked to him afterwards. What I understood from him is that he believes that God resting from creation on the seventh day means that there are no more “de novo” creative acts now, since we are living in the seventh day. He even suggested that this was testable, but I don’t remember how he proposed to do that. I guess any difference in reading design in the past as compared to now would have its basis in the boundary they perceive between the seventh day and the previous days of creation. Thanks. That is very helpful. I wasn’t thinking about the 6 day, 7th day distinction in PC. Given the 7th day started quite a while ago in PC, I’m not sure how we can see the distinction in how how creation proceeded before and after that point but this does clarify that why no de novo creations of new organisms are expected. The thought hit me though that if this is the case then extinction should be a real concern. If in the past extinction of whale species was met by God’s love of cetaceans and the creation of new varieties, then today we are faced with a world in which diversity should be on a one-way track toward fewer and fewer species. Stewardship then of the creation should be of great importance (well this is the case with any viewpoint although YECs tend to have a view that this world is a passing thing so great care of the present world isn’t of great importance). Progressive creationism does not make sense to me. If by “progressive” we mean new entities, where is the evidence of anything new under the Sun? Entities may be unfamiliar to us. That comes with the great diversity of species, but unfamiliar and newly discovered are not the same as new. Genesis reflects the worldview of Abraham’s Nilotic ancestors who regarded the created order as fixed. What some call “new” they considered examples of flux within divinely-established boundaries. They didn’t conceive of flux as producing something new. In fact, there is nothing new, only flux within genetic, climatic, geological, spatial and temporal boundaries. Thanks for your thoughtful comments on the article. I went and read the article and I think it may have been one of Hugh Ross’ weaker offerings. In general I find the work coming out of RTB fantastic and generally convincing. I’m not sure if you have interacted with Ross’ book “More than a Theory” but if you have I’d like to get your thoughts on it. I thought it was very compelling and offered a way to look at God’s work in creation. In the spirit of openness I should note that I am a pretty big fan of RTB in general and Hugh Ross in particular. That doesn’t mean I think he’s always right (no one is), but I tend to favor his works over others’ and I think it is important to be frank about that. I have to admit that of the many different approaches to the genesis controversy, I am probably the least familiar with Ross. I have read numerous articles but haven’t interacted with any of his books although I have several. Even in this post I can see that I misunderstood the position that he takes on the state of miraculous creation in the present. Clearly I need to read more in this area and hope to in the near future. Or on a more professional note, has he commented on what he meant by writing this in his paper? Thanks for the comment and follow. I haven’t seen any further comment about this particular article by Hugh Ross. Ross does use whale fossils quite frequently in his claims that neodarwinian processes don’t work but as to what he means that God should have a particular soft spot for whales, I don’t know. I really expect he would say this about any group of organisms that shows especially high diversity the logic being that high diversity indicates that God wishes those groups to be more successful. That logic really doesn’t make sense to me. Morphological and molecular evidence for a stepwise evolutionary transition from teeth to baleen in mysticete whales, especially the pseudogenes for tooth protein genes in baleen whales. So researchers found toothed and nontooth whales, and elongated and compact whales in the fossil record. This does not mean they evolved. Infact it shows otherwise as all those forms exist today. And did any of them ever evolve into anything other then a whale? Not likely. I’m fairly sure a dolphin could be crossed with a whale via artificial insemination. Its like looking at the wide variety of dogs and saying it proves evolution. It demonstrations adaptation, not evolution. The dolphin wasn’t always here you say? Well neither was the Poodle Cat! Hi again, not sure how I can help you here. No evolutionists would believe in a poodle cat because that is not at all how evolution is thought to occur and not what the theory expects. You seem to have some misconceptions about transition fossils and I am sure that is a result of having been given bad information by YEC organizations. Even if all dogs are just adaptation (how is that different than evolution one might ask) then the ancestor of all canines would not look like any dog alive today. It would not be a fox or a wolf or a coyote. It would be some sort of animal with some intermediate characteristics. To say that all canines adapted from a pair on the ark would be accept exactly what evolutionary theory predicts. Not sure why you expect them to evolve into something other than whales? Why must they? One major problem that old earth creationists (OECs) may be unaware of related to their model of “creation from scratch” for numerous new whale species is the issue of pseudogenes (i.e. genes that have lost their function). In other words, if God were continually creating new whale species from scratch, why would He bother to leave pseudogenes within the modern species that are evidence for once-functional genes from distant ancestors of the modern species? Why not just totally eliminate those genes if they’re not needed anymore in the latest whale species? A visual metaphor I like to use to describe pseudogenes are the abandoned farm buildings that one may see when taking an extended drive through the countryside. Even when the abandoned farm building in question is half collapsed, one can usually tell what it was originally used for (e.g. house, barn, granary). Also, the degree of decay / collapse of said building can be a good indicator of how long that farm building was abandoned. Well, to geneticists, the presence (& prior function / purpose) of pseudogenes can be just as obvious to them as the purpose of the abandoned farm buildings in the illustration above would be to a person familiar with farm buildings. Once a gene is not essential to an organism’s survival as it evolves, then the natural selective pressure to maintain that gene disappears & that gene is then free to slowly decay via mutations over the course of numerous generations without any adverse effect on that organism’s descendants. With that as a background, I’ll now circle back to whales & will discuss the olfactory receptor (OR) genes that are responsible for coding the proteins that act as the nasal receptors that bind chemically to molecules in the air. This chemical binding then sends nerve signals to the brain that are interpreted as various smells by the organism. My focus will be on the toothed (odontocete) whales as odontocete adults typically have no anatomical evidence for functioning olfactory structures & also happen to be an extreme example in which unused OR genes were deactivated into pseudogenes. Evolutionary biologists have believed for quite a while that whales evolved from land mammals. One prediction from that would be that whales have OR genes derived from mammalian OR genes. As expected, it turns out that whales do contain OR genes derived from mammalian OR genes. I’ll now focus on the very high degree of inactivation of these mammalian OR genes to pseudogenes in modern toothed whales (e.g. dolphins, porpoises, sperm whales). Genetic evidence for the high percentage of pseudogenes within the OR genes of modern toothed whales has been accumulating in the scientific literature. For the purpose of this discussion, I’ll cite one reference (an article from the scientific journal Systematic Biology… a free downloadable PDF file of the article in question is available from the link below… note that this PDF file is around 8.5 MB in size so may take some time to download). The following 3 quotes are from the second-last paragraph on the 1st page (p. 574) within the introductory / background section of this article that cites prior researchers’ work. This article then proceeds to describe the new research done by the writers of the current article. They created a simple bar graph (figure 3 at the top left of p. 583) that visually illustrates their findings for the % of OR pseudogenes within the sample of OR genes they studied grouped by odontocete species. Their commentary on this graph (from a paragraph just below figure 3) is shown below. Anyhow, these observational experimental data simply reinforce the point I made at the beginning of this comment. Why would God bother to put a bunch of broken (i.e. non-functional) olfactory receptor genes derived from functional OR genes of ancient whale ancestors into the genome of modern toothed whales if He’s creating these species “from scratch” as per the OEC model? This simply makes no sense to me. On the other hand, if God is using a process of descent with genetic modification (i.e. biologic evolution) to create new species of toothed whales, then the OR pseudogenes (previously functional in the ancestral species but not needed anymore) are to be expected in modern whales as the genetic remnants of that evolutionary process. If you don’t mind me asking another question (since I value your perspective based on what I’ve read you say): why do you think God spent 13.7 billion years except the last 2 million years without humans, His image bearers? Do you think He simply, out of all life and creation, chose us unworthy humans to make them his image bearers?